You want to know how to get more followers on Instagram, don’t you? Each one of us has a misconception that from the day one, we get a huge number of followers on any social media network no matter what. But it gets busted soon after you join the network. That’s why you are here, looking for ways to gain Instagram followers. I have some surefire methods which will help you get a considerable amount of followers. The following are some tips to get more followers on Instagram. If you are looking for the best natural way to engage with other users, you must engage with other users. Engagement on Instagram means likes and comments. When you see a stunning image on Insta, just like it and drop a comment. Once the account owner finds your genuine comment, he/she will surely follow you. I recommend you shouldn’t use your Instagram account as a tool to indulge in nasty word fights. Remember, you are there to increase the number of followers, not the haters. If you are seriously looking for how to get Instagram followers for free, you should complete your bio. Do you like following an account with an incomplete bio? I know you don’t. The same psychology goes on with everyone. So, better you complete your bio or forget the thought of getting more followers. When you complete the bio, you must use appropriate hashtags and keywords. Don’t hesitate to drop a link to your website if you have any. Not everyone who sees your profile will follow you. If you are on Instagram for a reason (for example, social media promotion), you need to follow accounts that closely resemble your purpose or interest. As on Twitter, you can get a lot of followers by simply following them in return. Use the search bar to find like-minded people. Then, start following at least ten per day. Track your progress after a week or ten days. You will know the power of the follow button in getting followers. Next tip in this how to get more Insta followers list is to make use of good hashtags. Almost all the Instagram users utilize search field to find accounts and posts. If you use appropriate hashtags for images, you will reserve a spot in the search results. Apparently, people start checking your pictures. Once they find it appealing, you will see a huge rise in the number of followers. Don’t go mean with Insta likes, by liking other user’s photos you will get more followers and likes. Many hashtags are known to help each other with likes on their posts. You can also use few common hashtags to get more followers on Instagram such as #FF, #instafollow, #l4l (Like for like), #tagforlikes (tag a friend) and #followback, etc. Or you can also use popular hashtags into your posts. Some users insert too many hashtags into their posts which are not anyway harmful to your posts unless you wanted your post to look classy and sophisticated. Again, hashtags should be pinpointing. Captions have a significant influence in fetching Instagram followers for you. Users who check your images or videos surely read your captions. Given that you always add an interesting ingredient to make your captions look appealing, your posts gain more likes and as a result, you will see a sudden increase in the number of followers as well. When you feel hesitant about what to put into the captions field, you can check other accounts to absorb the gist of their captions, not to copy them but to take inspiration from. Do you want to know how to get more Instagram followers quickly? Trust me; you will be amazed to see how many followers a simple photo contest can get you. You don’t have to do much. Just upload an image with contest details. And, you have to create a unique hashtag as well. You should clearly state in the guidelines that people who follow will only be considered. Don’t forget to announce prizes too (simple electronic gifts like earphones will do). When you ask questions in an intriguing fashion, no one can help themselves from answering the same. Means, you will get more comments on Instagram. At least a few people who comments under your post will follow you for future updates. You can ask questions using captions field. Or, just embed the question into the image itself. Do you use Instagram every time? Similarly, people aren’t on Instagram around the clock. That’s why you need to realize the best time to post. It is found that videos get maximum engagement between 9 pm and 8 am. And, images perform well all over the day. Different best timings for different time zones. Sunday is a proclaimed holiday. Most of the people come online on Sundays more than any other days. Surprisingly, a recent survey revealed that the number of images getting posted on Sundays is less as compared to the rest. The lesser the number of images, the more will be the visibility. So, I recommend you must post more on Sundays. It will help you get maximum reach and followers as well. Geotagging in Instagram works great and very helpful for your local business. Geotagging is good at catching the attention of local users in that geolocation. If you geotag a photo in New York, then all other users posted photos in New York will able to see your photo on the location’s page. 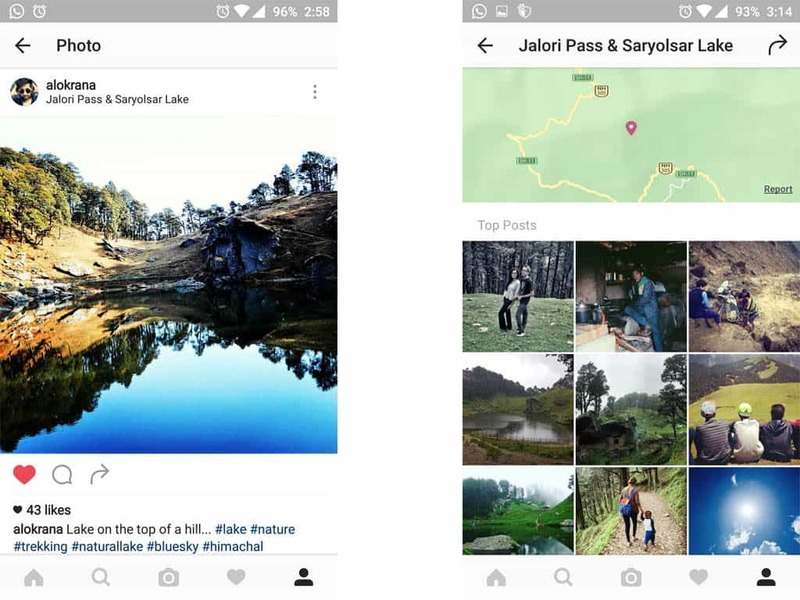 As Instagram creates a location based page when a photo is geotagged and all photos geotagged at the same location will be displayed in that location’s page. Promote your Instagram account on other famous social networks. You can share your created memes, graphical images, creativity, or videos on other famous social media sites like Twitter, Facebook profile/page or in facebook groups. Attract users on other social media sites by letting them know what can they expect if they start following you on Instagram. As fitness tips and self-created funny videos inspire people to follow you on Instagram for more updates. The more unique and often you share, the more followers you will get. So promoting your Insta account on other social networks could be very effective. A final touch should always be perfect. You may already know about Instagram filters. But can they attract more followers? Using filters for your photos will definitely attract more users. There are plenty of filters available in Instagram. Few sorted filters for you “Normal, Reyes, Earlybird, X-Proll, Hefe, Rise, Valencia, Amaro, Brannan, Lomo-fi, Hudson, Mayfair“. How filters attract more followers? A normally clicked photo never good enough to catch eyes on. So to get all eyes focus on your photos you must have to use filters to give them a final touch and make them extraordinary with contrast and colors. Combine a collection of perfect photos together for better engagement. 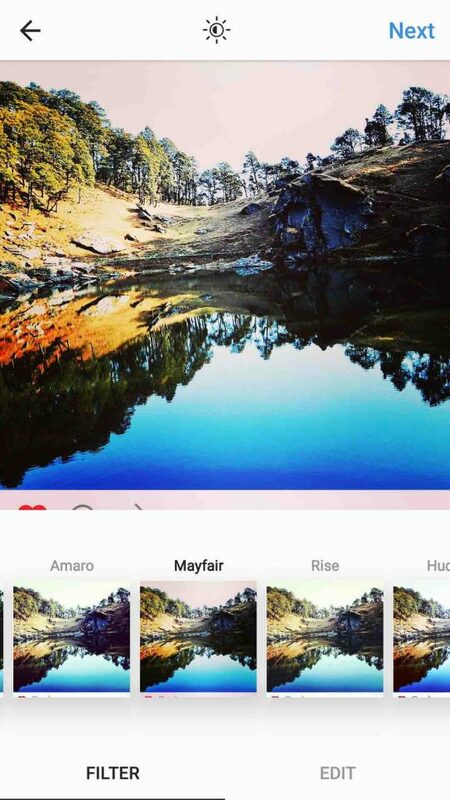 Instagram also launched an app for you to combine your multiple photos into a single photo. This collage making effect will give your photos different looks and it’s not so common uploads by random users so it also could attract more followers to your Instagram. Boomerang a very recently added app by Instagram. This is an another big step by Instagram. But not a new thing in the app industry. You can shoot daily life short videos and post them directly to your Instagram. Few moments cannot be that amazing in photos. Give those moments a life and capture them with the boomerang and share it on your Instagram. In Boomerang, you can use video looping and Hyperlapse. My suggestion to all Instagram users who always want to try out some tricks to get more followers on Instagram. Instagram is all about searching and peeing over others profiles and images. 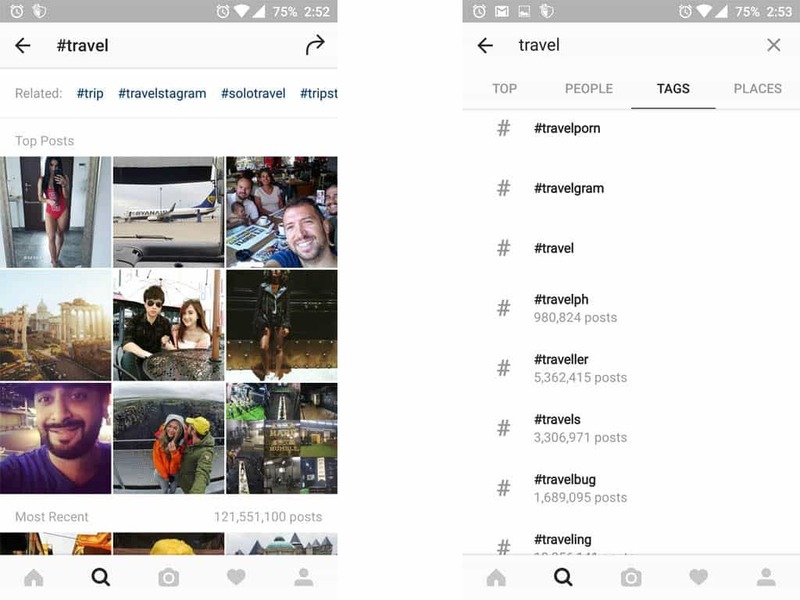 Instagram search is based on hashtags (#) only. Here I am going to demonstrate a tree of strategies with you. Suppose you want to make a post related to “travel” go to search option and search “travel“. You will see #travel hashtag at the top. When you open it you will see many travel related hashtags on top of your screen as you can see in above screenshot. Use those hashtags with your travel related posts and you will notice a huge hike in your post likes and followers. There is one more option you could try out. Again go to search option, this time, select tags before you search. Now search travel and all popular hashtags related to travel will be displayed on your search. 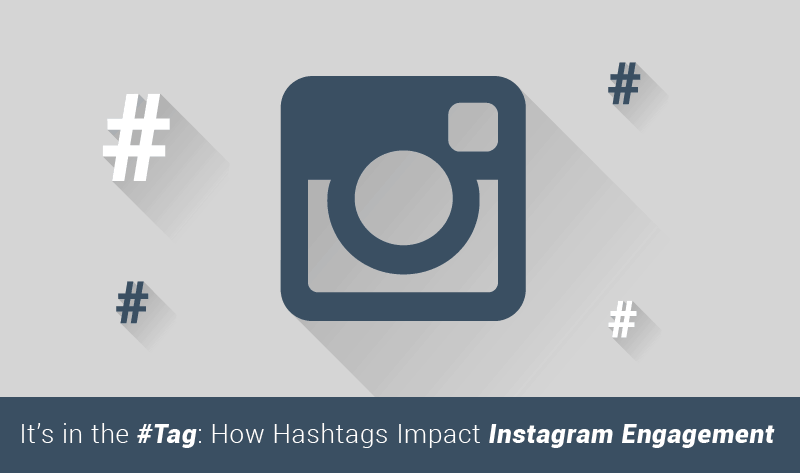 You can then select best-suited hashtags to your post and see the result of using right hashtags on Instagram. When you use popular hashtags in your post, your post will be displayed in that popular hashtag pages too. It can increase your post visibility and increase your followers and likes. Consistency is a key to success. Maybe you are looking for how to get more Instagram followers instantly. But you should understand the fact that long-term success lasts forever. Keep 15 tips I gave above in your mind and implement the same while posting. Don’t stop. 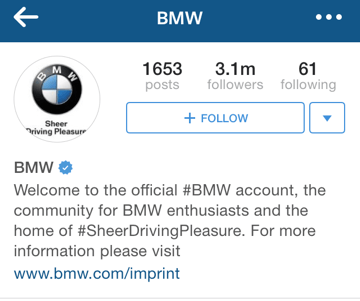 Even when you achieve your target of Instagram followers, don’t settle. You will thank me later for giving you this advice. 7 Great Tools to Get the Most Out of Pinterest Marketing! I have given you fifteen tips on how to get more Instagram followers. After all, make sure you post interesting or useful information. Entertainment or information, either of these should be your motto. You will get tons of followers if you stick to any of these niches. In case you have any doubt regarding the tips I have shared here, don’t forget to scribble down in the comment section down below. I hope you will share this article with your social media peeps. Thank you for the amazing tips. I have just started a community manager course in Spain and this content has been very helpful. Yes just keep on following all the tips mentioned above. And congrats for your community manager course.